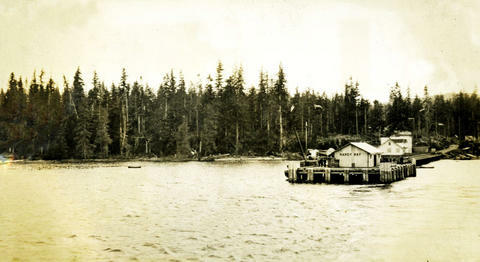 Photograph depicts the Hardy Bay pier. Handwritten annotation below the photograph reads, "Hardy Bay. Vancouver Island".